That means that the duck is a generalist animal. It has lots of skills, but it is neither Bolt nor Phelps nor Kal-el. So what? We often listen to people saying that kind of stuff about generalist people, that they don’t do anything like a pro, in a pejorative way. But that is just wrong. Ducks, as well as generalists, are masters in doing everything. An eagle cannot swim nor run. It can only fly. Why do I like being a PM? Because I’m a duck. I can talk about and work with: writing, business, technology, analytics, public speaking, marketing and so on. But I can’t do any of those like an expert. I don’t wanna be a Linus Torvalds or a Malcolm Gladwell. But I wanna work with all those things. 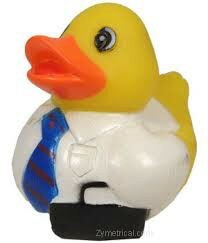 And this role/job embraces ducks! No, it is not just for generalists. There are fantastic PMs out there that are UX specialists, Marketing specialists, etc. As I said in this blog post about what a PM should or shouldn’t do, the team you are working with will drive the skill you’ll use the most. I like to say that the PM is the catalyst for the company goals. She** will work with a vast amount of different people, and will (try to) build the product that gives the company the best results. I can say that being a generalist PM is like being on a roller coaster with your eyes closed (in a good way since I love roller coasters). You can participate in all of the steps of the product, from inception to marketing and sales. And that is just an amusement park for me. That, summed with the awesome people that work here, brings the best environment for growth, success, and fun. If you wanna be part of that, we have open positions for PMs here!